Mini Car Cigarette Adaper Charger with USB Output – Black. 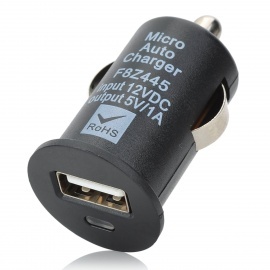 Mini Car Cigarette Adaper Charger with USB Output. For charging smartphones or players in car. Usable in any car with cigarette port. Color: Black, Material: ABS, Voltage: 12V/5V USB with 1A. 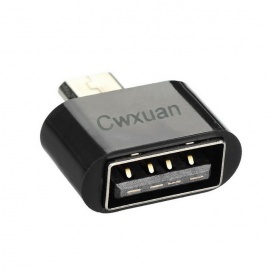 Cwxuan Micro USB Male to USB 2.0 Female OTG Adapter – Black. Pretty small for traveling. Ideal for your smartphone or tablet. Material: Plastics ABS + Metalic USB, Color: Black. Nano to Micro + Nano to SIM + Micro to SIM Adapters 3-in-1 with Pin. Material: Plastics + metal, Compatibility: all phones, color: White. Get Cables and Adapters for your PC or Tablet and get up to 60% + Extra 5% OFF at DX.com ! Just click to link to "SHOW COUPON" and buy what you want, then apply coupon code at checkout. You can get 5% OFF on all Cables and Chargers with this promo coupon code at DX.com ! Just buy it, apply coupon and get sale Extra 5% OFF ! Just click on scissors and apply the code ! Simple portable USB male to 5-pin MiniUSB male travel adapter. Suitable for most digital camera, MP3 players and other devices. This adapter allows you to use devices with US type cord to EU wall plugs. Supported up to 250V. Maximum 6A, 2-pin (without ground), small and usable anywhere, convenient to carry, simple to use. Set of 3 SIM adapters for any mobile phone including iPhones and Android smartphones. Includes SIM to NanoSIM + NanoSIM to MicroSIM + MicroSIM to SIM adapters (3 pcs).